If everyone were happy with the proposals, it would be the surest sign they were toothless. It certainly says something about Mexican President Enrique Peña Nieto’s first year in office that the tropical storms that ravaged the country last month will not rank among the five most talked-about events. To do so, he proposed nothing short of slaying Mexico’s most nefarious economic demons: the powerful union leaders who could deliver votes in the hundreds of thousands; state-owned oil giant Pemex, the source of great national pride (and around a third of the federal budget); and last but not least, the world’s (now second) richest man. All of these reforms – education, energy, and competition – were on the agenda in year one. Considering the task he set out for himself, it is not surprisingly that the president finds himself under attack from the right, left, farther left, and even his own party. The president’s proposals to allow foreign investment in the energy sector sparked a predictable nationalist outburst from some factions of left-of-center PRD, although the party’s moderate leadership has been more restrained. The proposed fiscal reform, which seeks to increase value-added taxes on home mortgages and school tuition but passed up expected levies on medicines and foods either taxes too much, too little, or the wrong group of taxpayers, depending on whom you ask. Meanwhile, a radical branch of Mexico’s national teachers union, the CNTE, has occupied a central square in the capital to protest the government’s education reforms. 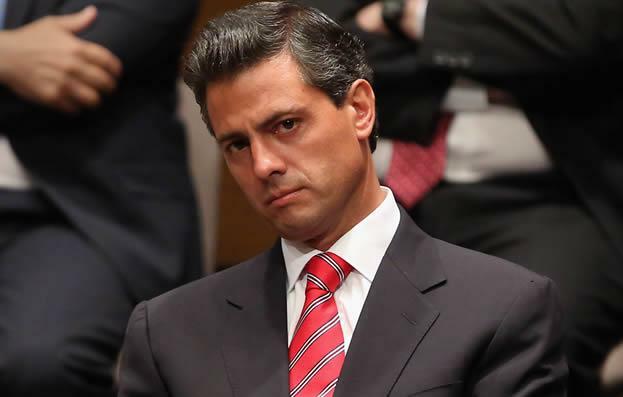 More recently, two factors a president cannot control—the economy and the weather—have added to EPN’s troubles. The storms that ravaged southern Mexico in mid-September caused 139 deaths and dealt an additional blow to growth . That comes on the heels of the government cutting its 2013 growth projection from 3.1 to 1.8 percent, citing flagging external demand. When the disgruntled teachers descended on the capital last month, some commentators began asking whether the Peña Nieto sexenio—the common phrase for Mexican presidents’ six-year terms—was on the line. 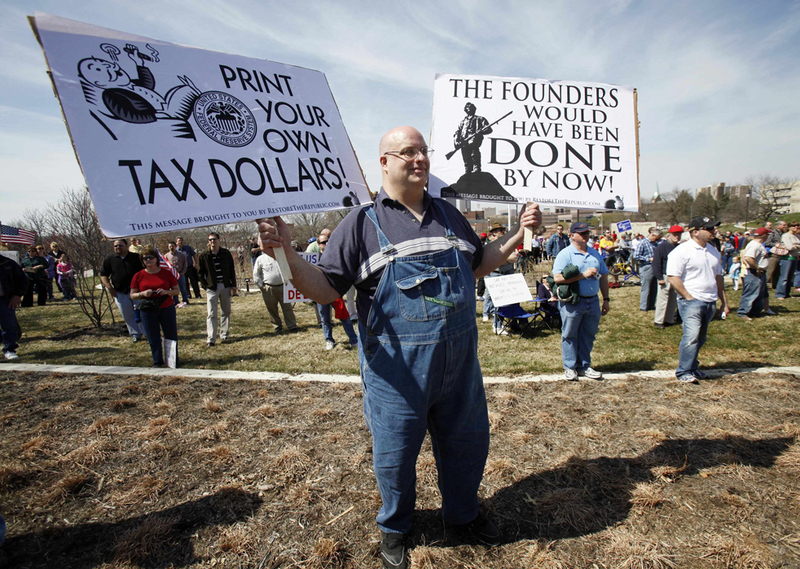 Others concluded that President had erred irremediably by putting forth the easiest reforms first. But any obituary for the EPN sexenio— which observers on the left and right are all too eager to write—is premature. Uprooting the country’s most entrenched special interests was never going to be easy. Reforms of the sort the government is pursuing impose immediate costs on specific groups, while the tangible benefits come several years down the road and tend to be spread throughout the population. In other words, reforms are usually bad politics, even if they are good policy. If everyone were happy with the proposals, it would be the surest sign they were toothless. That is why the president’s first move upon taking office was to forge a grand bargain among the three major parties—the much-discussed Pact for Mexico—committing them to pursue ninety-five reform measures. The Pact was a recognition that politics as usual would not make reform happen. While ostensibly a manifestation of Mexico’s new democracy, many observers see the Pact as co-optation—raising the specter that the “old” PRI is alive and well. A common analogy is to the administration of Carlos Salinas, whose presidency from 1988 to 1994 elevated a host of young, US-educated technocrats bent on “reforming” the Mexican economy (sound familiar?). The reform agenda included many high-profile, hastily executed privatizations that more often than not replaced public sector monopolies with private sector ones—and handed over the reins to friends of the president. In fact, it is these very monopolies that the current government wants to break up with its competition reform. Mexicans are right to suspect that for the PRI, which ran the country uncontested for seven decades, old habits die hard. But Mexican politics of 2013 are not Mexican politics of 1988, and the current scenario is a testament to the new reality. The balance of power among the three major parties has forced EPN to compromise, adapting his proposals to the different parties’ preferences. The PAN, the government’s natural ally in opening up Pemex, will provide the support needed for Constitutional changes and likely push the PRI to ensure the ultimate legislation is sufficiently investor-friendly. 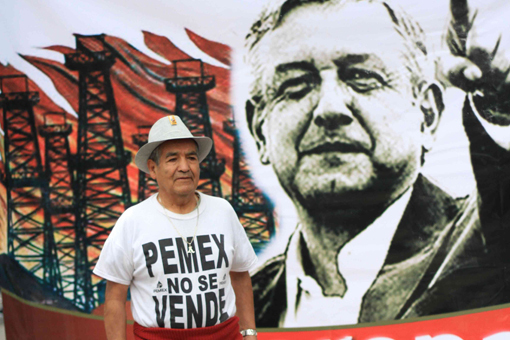 The fiscal reform, in avoiding the regressive VAT tax on food and medicine, increasing income taxes on high-earners, and stressing the “social” nature of the reform, extended an olive branch to the left, which can do nothing to stop changes to Pemex. The fiscal package gives the PRD something it can comfortably support, while stealing still more fire from the populist Andres Manuel Lopez Obredor (AMLO), whose attempt to reignite the recalcitrant left is sputtering. 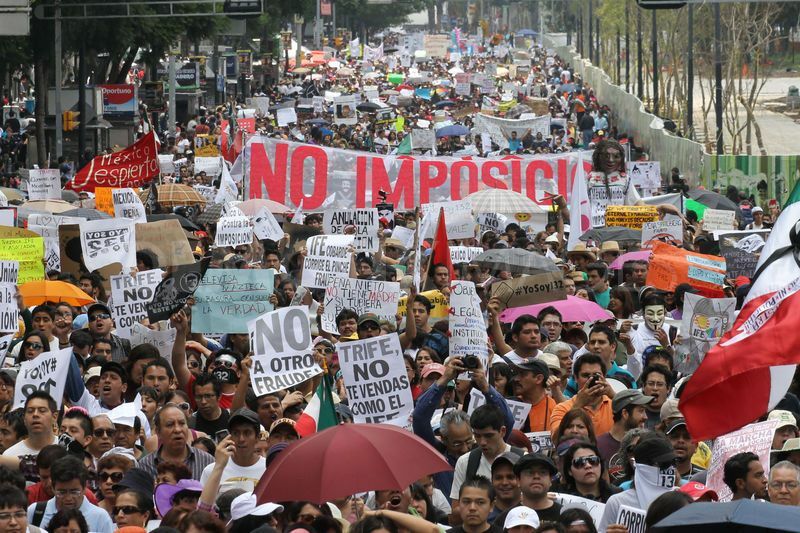 Meanwhile, the Congress, including lawmakers from EPN’s own party, is taking an active role in shaping the reforms. They aim to replace proposed taxes on pensions, mortgages, and school tuition—seen as a burden on the middle class in particular—with other levies. In heyday of the PRI, the president brooked no opposition. Congress was a rubber stamp, and alternative political parties were often so much democratic window dressing. Clearly, times have changed. The old party may be back in power, but it faces a new political landscape. The next six weeks will be critical, as the actual legislation on energy and fiscal reform will wind their way through Congress. The process is bound to be messy, and purists on both sides of the political spectrum will inevitably find much to disagree with in the legislation that emerges. But compromise is the only way to get things done in a democracy. If Mexicans need a reminder, they must only look North. After the ‘Golden Years,’ what next for Latin America? This entry was posted in Mexico + Central America, Uncategorized and tagged Economy of Mexico, Education reform, energy reform, Enrique Peña Nieto, Mexico, Pact for Mexico, PEMEX, PRI. Bookmark the permalink.